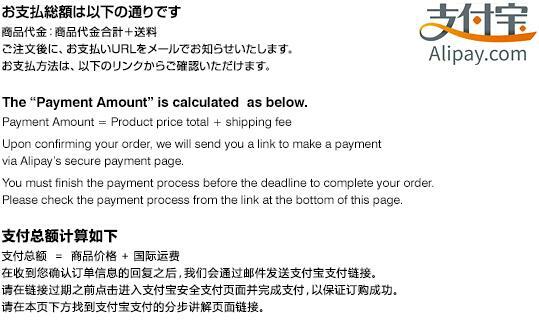 *The credit card of the overseas publication is not available. 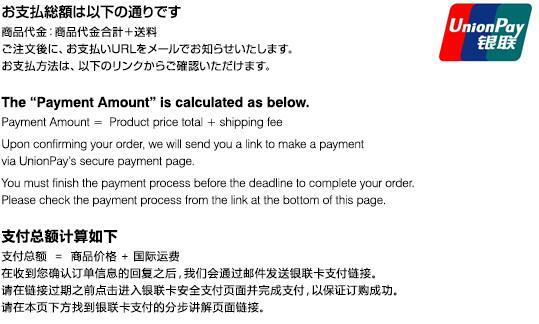 *We only accept the Paypal payment with the order from oversea. We only accept the Paypal payment with the order from oversea. After you order, we will send you the Paypal email. Receiving the email please proceed the payment. You can pay by cash or credit card at the Paypal. 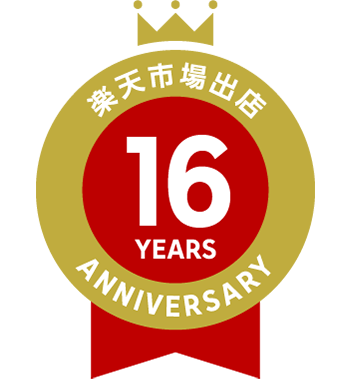 however, we will be sending you a “Thank You” e-mail mentioning the total order amount with the consumption tax excluded. * For international delivery, we use EMS. The delivery time is estimated to be approximately 3 business days after shipment. We cannot accept any international return/exchange.